Weathered city walls and antique jewelry stalls, Chiang Mai’s a beauty nestled between the serene mountains. Built in 1296, it’s where travelers come to experience past and the present. From visiting the Doi Suthep to the open-air markets, Chiang Mia has something for everyone. If you aren’t big on history, the vibrant night life’s bound to leave you craving for more. Looking to get lost in a maze of the pleasant smell of grilled tilapia wafts through the air? Head over to Chiang Mai! Looking for a tropical paradise in Asia? Then, Bali’s your best bet! 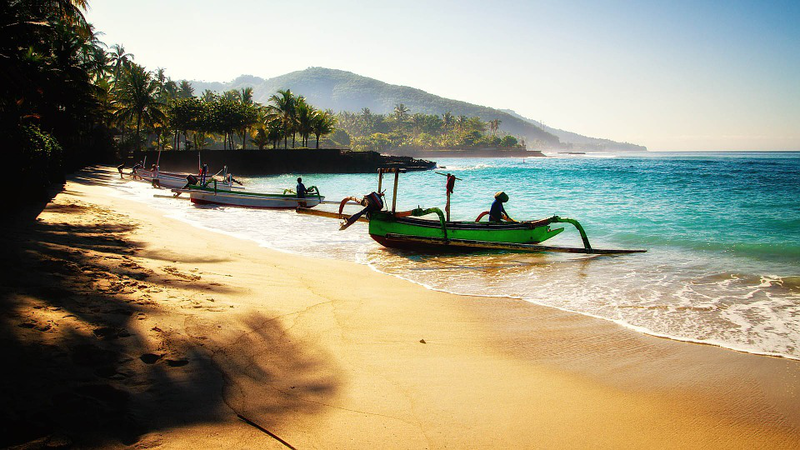 From clear azure waters to grand resorts, Bali’s the perfect destination for your Asian vacation. This is the place where culture bleeds into history to create magic. Temples, parks and water sports, Bali caters to your every need. You’ll even get to sample the savory Bebek Bengil while you sit in a restaurant overlooking a rice field! For a best experience, rush to this Asian paradise on earth. Talking of first impressions, Kandy will definitely leave you reeling. Nestled between mountains with an enormous Buddha statue, this city will make a lasting impression on you. Interested in the hottest tourist attraction? Kandy houses the relic of Buddha’s tooth! But that’s not all! You even get to stroll around the Kandy Lake as you take in the cascading beauty around you. Chocolaty hills, mahogany forest and rice terraces, Bohol in Philippines is truly a sight to behold! Filled with wide expanse of unique natural beauty and jungle life, Bohol will keep you hungry for more. If you’re someone who values thrill and adventure-seeking, Bohol’s your best bet! Journey through the southwest on a paddle board as you navigate through the winding passageways. Walk through the Mahogany Forest as sunlight peers through the trees. Dare to get lost in the city’s history at the Blood Compact Monument. In short, fly out to Bohol to truly get the taste of thrill and adventure! Wondering where to book business class flights from? Then reach out to Budget Business Class. We’re a travel agency, with expertise in providing luxury travel at affordable rates! To Business Class Flights to Asia, contact us today!